Adrienne is a Certified Professional Dog Trainer and American Kennel Club Canine Good Citizen and Star Puppy Evaluator. She is a member of the Association of Professional Dog Trainers and the International Association of Canine Professionals. She began her journey in dog training as an Accredited Pet Trainer for Petsmart, teaching all levels of canine obedience and trick training as well as solving problem and nuisance behaviors such as dog reactivity & aggression, dealing with fearful, poorly socialized dogs, door dashing, doorbell barking, jumping, and separation anxiety just to name a few. 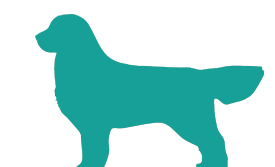 She has gained valuable experience in her many years as a dog trainer and whether you are just wanting to train your family dog, or are seeking to train a therapy dog or service animal, she can help you attain your training goals. Adrienne employs only POSITIVE methods of training which are scientifically proven to be most humane and effective, which foster relationship with your canine companion, mutual respect and cooperation. She is both an animal and people person, and loves to be able to help others with the human-animal bond. She shares her home in Georgetown, TX with her husband, her 2 children, her Golden Retriever, cat, and horse. She and her dog, “Buddy”, are a certified Pet Partner’s therapy team and members of Therapy Dogs of Georgetown, TX. They can often be found at the local elementary school mentoring children in reading. 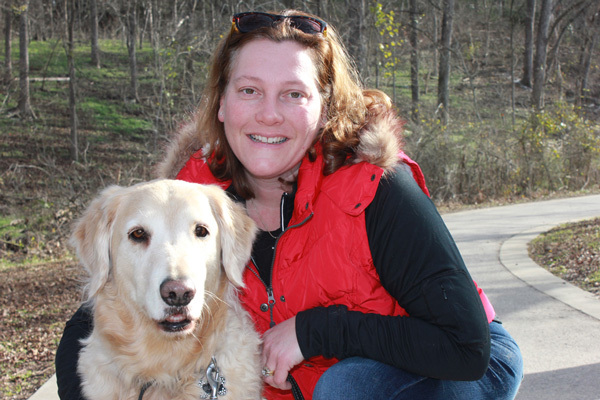 When she’s not busy training, Adrienne enjoys taking long walks with her dog, spending time on her farm, and attending training seminars to stay current on the latest advances in the dog training arena. Recent seminars she’s attended: Ian Dunbar’s Cutting Edge Concepts in Dog Training, IACP Annual Conference, Debby Kay’s Super Sniffer Workshop, Sue Sternberg’s Dog-Dog Group Dynamics, Pat Miller's Real Solutions to Canine Behavior Problems, APDT Annual Conference, Suzanne Clothier’s C.A.R.A.T. Workshop, Ken Ramirez's Taking Your Skills to the Next Level, & Christina Hardinger's Canine Massage Workshop.